Quote Of The Day - Sen. Cory Booker - Joe.My.God. “Almost 50 years ago, a couple tried to purchase a home in suburban New Jersey in a neighborhood they loved, but found their efforts thwarted when the house they wanted was inexplicably pulled off the market. The couple later learned from fair housing advocates who had investigated on their behalf that the home was made unavailable to them because of their skin color. The couple’s names were Cary and Carolyn Booker. They were my parents. “You’d think this problem is relegated to the history books. But in 2015 — today — a couple can try to purchase a home and in 31 states be told it is not available to them on the basis of their sexual orientation. More than half a century after the passage of the Civil Rights Act of 1964, the federal government has yet to pass a large-scale law that protects Americans from discrimination on the basis of their sexual orientation or gender identity. 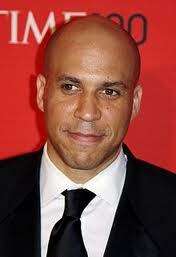 It’s time for that to change.” – Sen. Cory Booker, writing in support of the Equality Act.